I am one to give most new social media platforms a new try even if I am using a similar platform. I guess I am know as a bit of an early adopter. This has totally been a positive thing for me because I have really found someamazing social media tools that I have incorporated into my marketing strategy that has really made my life a lot easier and save lots of time in the process. I would stay that every NEW social media platform that I am currently using has been a result of giving a new channel a try. I think the willingness to try additional social media channels and apps can only be a good thing for your social media strategy in the long run. What do you have to lose? As technology grows so will the continuous push of amazing applications, channels and platforms. In order to continue to grow in your chosen path it is essential to continue to give different channels a try. I look forward to exploring all of the technology that 2012 has in store for us and hopefully learning a lot as I travel the path. So when you think about how much time you DON’T have for another platform think about how different your life would be had you not explored Facebook, Twitter, Blogging and more. The Value in being an early adopter in a network that ends up being the boss is immeasureable. I actually had one of the first Twitter accounts, and I let it sit dormant for years because I had no use for it, didn’t have the time to create a use for it, and even though I knew it was going to be big I didn’t really know how to go about exploiting it in the beginning. The result is that now I get hindered by the rules Twitter has for growing your account, I missed out on the wave of new users that would have added my account, and I was on it so early that I would have likely become a suggested account for some time. I didn’t make the same mistake on Chime.in, and now I get 20-50 new follows a day organically with little effort because I did get picked up as a suggested user. It took me several years to actually get a reason to start using Twitter (Writing articles at Yahoo!) but even though I’ve grown my following fairly well, it would have been substantially greater if I had started at the time I signed my account up. 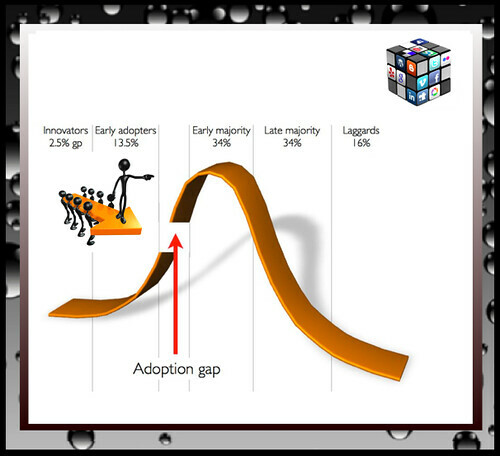 I agree 100% about being an early adopter. Taking on so many platforms can be time consuming but I believe the good far out weighs the time consumed.